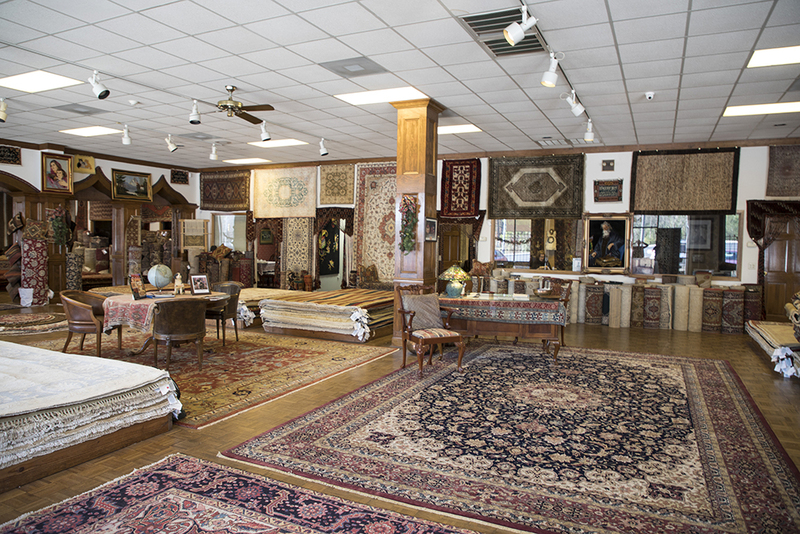 Nilipour Oriental Rugs Welcomes Your Visit! Not only to this website, but to our spacious, inviting showroom. Established in the early 1900’s in the thriving Oriental Rug Market of Persia, Nilipour’s heritage continues. Four generations later, our family business carries on the customer-satisfying tradition through quality merchandise at wholesale prices right here in America. Our richly overflowing showroom is located in the heart of the South, where we sincerely invite you to come, to experience, and to invest. We proudly maintain a reputation for honest and trustworthy transactions, having developed a network of clients from all over the nation who have become friends. A full-time designer is available to assist in your selection and to make recommendations. We also specialize in appraisals, cleaning, reweaving, and restoring of your Oriental Rugs. Remarkable service and selection make us a favorite among decorators and collectors throughout the country. Our orientals include sought-after patterns such as the more traditional Heriz, Serapi, Oushak, Kashan, and Mashad, new, old and antique. More formal designs include the elegant Savonnerie and Aubusson. As well as rare investment pieces including a stunning collection of fine Persian Esfahans, Nains, Tabrizes and other such rarities. Nilipour Offers Both Quality Product & Quality Service!